Councillors and locals were out today in the rain to help clean up the Cowsey. As part of the Reading wide RESCUE event, local Councillors suggested adding the Cowsey. 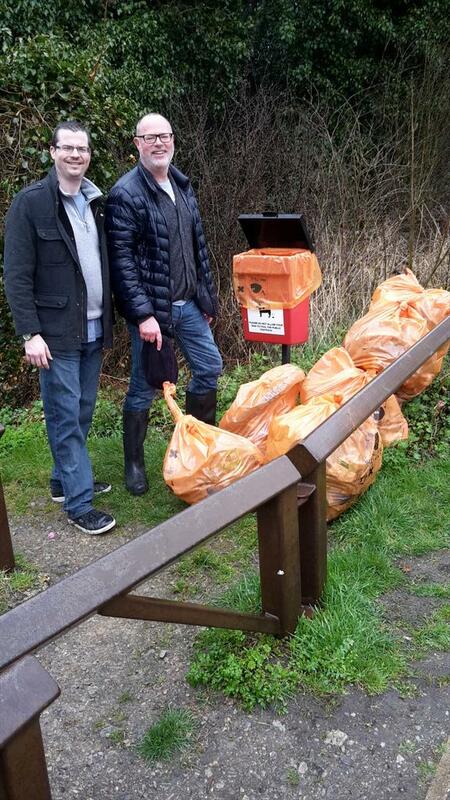 Around 8 volunteers managed to collect 10 bags of rubbish picked up from around the Cowsey. Thanks to all of the volunteers and Reading Borough Councils streetcare team for providing the equipment and picking up the rubbish. This entry was posted in Ward News and tagged Cowsey clean up on March 29, 2015 by Ashley Pearce.